Libelium has its IoT Sensor Platform Plug & Sense! and IoT Gateway Meshlium ready for smart cities deployment using the 4G network available in major metropolises around the world. The company has performed a strategic shift getting the PTCRB certifications needed to evolve from "proof of concept" projects to massive deployments in the US. 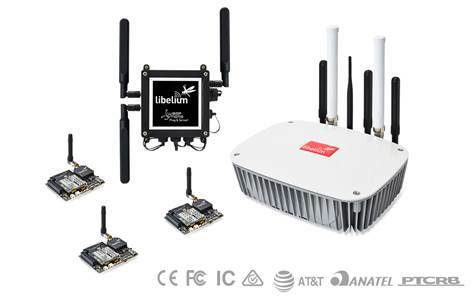 Libelium has also certified its devices with the AT&T service policies, to be one of the first IoT companies to make their platforms compliant with this quality standards of the giant cellular network provider. Libelium opts for this investment policy based on the fact that the 30% of the company's turnover comes from Smart Cities projects from US customers that are deploying platforms with 4G connectivity. In the same way, the Spanish company has reached out to similar certifications for the European and Australian markets. In this continent, Libelium has obtained the compliance stamp from Telstra, the biggest mobile network service provider. Libelium has also recently been approved by the new 4G device rules in Brazil, updating the current Anatel license. Following the corporate commitment with quality and excellence, the third generation of Libelium's IoT sensor platform is the only one in the market that has accomplished all the international certifications: CE (Europe), FCC (US), IC (Canada), ANATEL (Brazil), RCM (Australia), PTCRB (US) and AT&T (US). These certifications include different radio technologies: 802.15.4 (2.4GHz), 4G, WiFi, LoRaWAN, Sigfox and 868 / 900MHz RF options. "This fact makes possible to use the 4G versions of the sensor node Plug & Sense! and the IoT gateway Meshlium in any of these countries", underlines David Gascón, Libelium's CTO. "We have made a big effort getting the new products ready for the major IoT markets worldwide", he informs. Regarding the market's hype about new technologies, Libelium keeps its neutral stance considering that in such a fragmented scenario like Smart Cities, different communication protocols work with different applications. "When everyone is talking about LPWAN technologies, we consider 4G a really good option for applications such as water management, irrigation control or air quality monitoring in terms of bandwidth, network coverage and connectivity cost", states Alicia Asín, Libelium's CEO. As part of this project, Libelium releases on its website an exceptional "Quality & Certification Document Management System" that allows customers to easily download any legal documentation. All the certification documents include legal requirements for the biggest markets, from electronic and radio legal documentation (CE, FCC, IC, RCM, Anatel) to mobile operators' specific compliance requirements (such as PTCRB, AT&T and Telstra). "After 10 years of experience, we keep our commitment to delivering continuous innovation for the IoT market, making our products compliant with cutting edge technologies while increasing its robustness and reliability", David Gascón proclaims.